Right now, the world is going through the Era of the movie FROZEN being Played all day on repeat. What better way to make your home a quieter place than with the help of these Kid-friendly and safe Retractable ANiMALZ Headphones by ReTrak. ANiMALZ by ReTrak retractable headphones are designed for little ears and feature volume-limiting technology (Maximum Volume of 85 Decibels) in six lovable soft fabric animal designs: Biker Bearz, DJ Panda, Jam Bunneez, Scuba Shark, Skate Monkeez and Surf Dawgz. 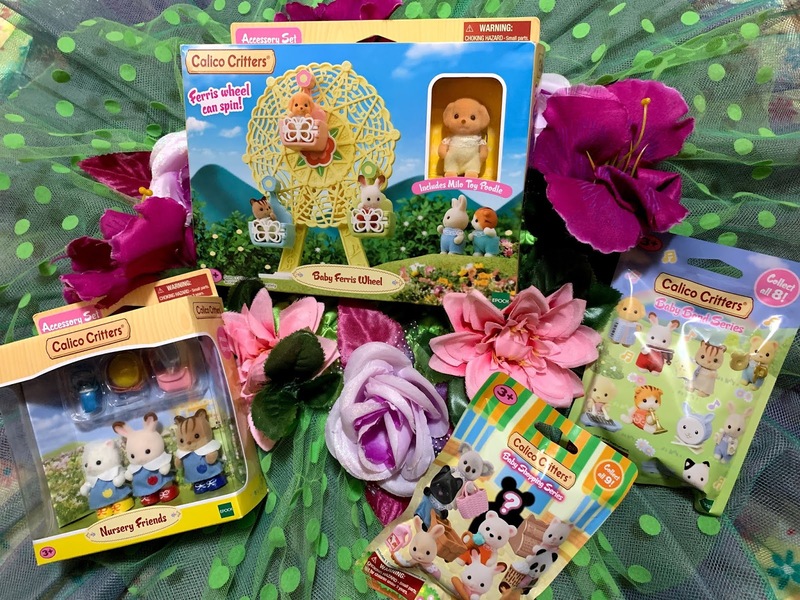 Our Kids can now enjoy listening to their own music, playing games or watching movies all with their favorite Animalz! 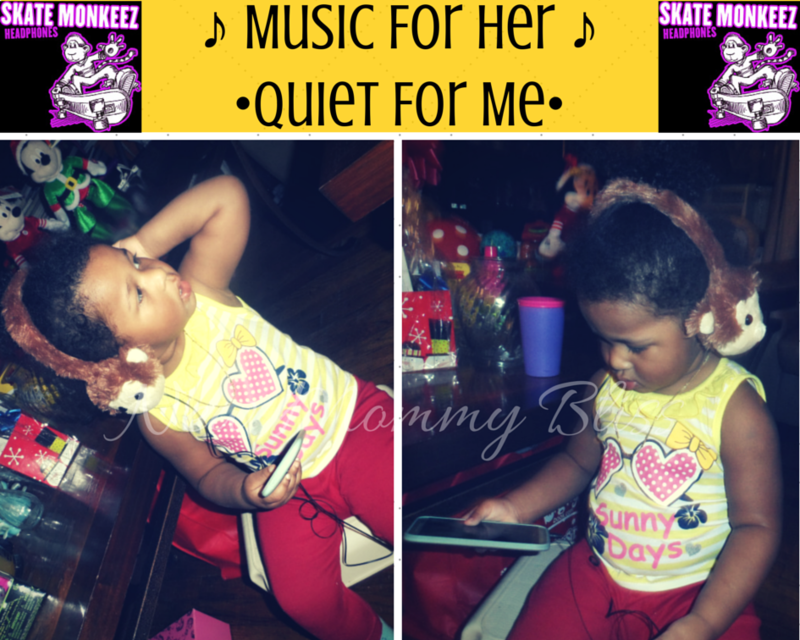 We chose the super cute Skate Monkeez for my Little Monkey. Being that Gabby does have hearing loss in both ears from birth, I am very careful with any type of headphones I let her use. These retractable headphones don't cup over the ears which makes them perfect for placing over her ears and hearing aids. They don't bother her at all since the Monkey heads are so soft and furry. Animalz headphones offer crystal-clear sound quality and are equipped with a built-in 3.2-foot retractable cable. 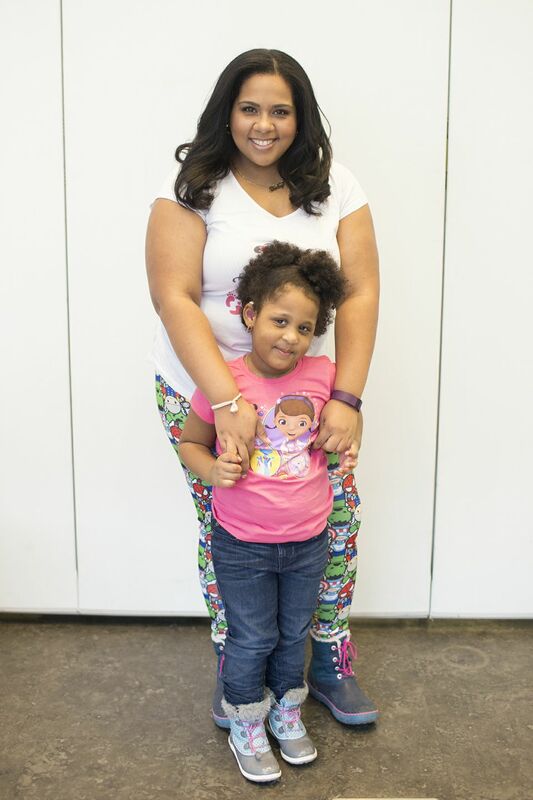 Designed with children in mind, kids can simply retract the cord once they’re done listening. Parents no longer have to waste time unraveling knotted wires. The convenient, tangle-free headphone storage makes clean up easy. It takes about 2 pulls to get it fully retracted, but the Flat cable is such a great feature for kid headphones. The cord comes with a gold-plated 3.5 mm connector that is universally compatible and works with most portable devices. Manufactured with high-quality components. Built for years of fun, Animalz are backed by a lifetime warranty! <~~ My Favorite Part! Being in NYC, it's ideal that we keep little ears cozy and warm in the harsh winters. 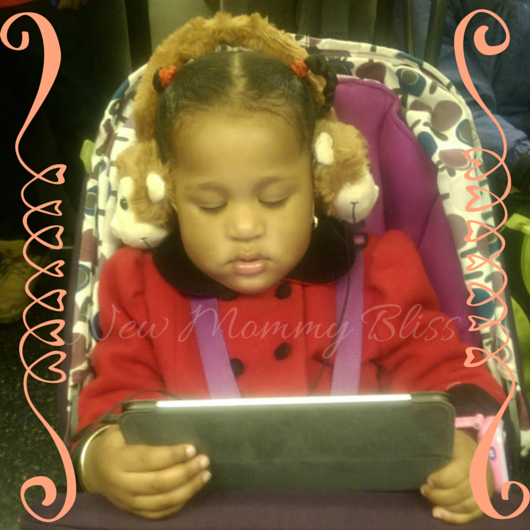 we like to double our headphones for toddler earmuffs! I mean, why not? She's always watching her movies or listening to her songs in her stroller, so I'd like to keep her ears warm while she's at it. These are perfect for stocking stuffers and even Gifts as a whole! Animalz are available at more than 15 U.S. retailers including Amazon.com, Best Buy and Toys“R”Us. Go to the site for a full list of locations. Note: Panda and shark designs are available at Best Buy since November 3rd and are exclusive to the retailer until March of 2015. 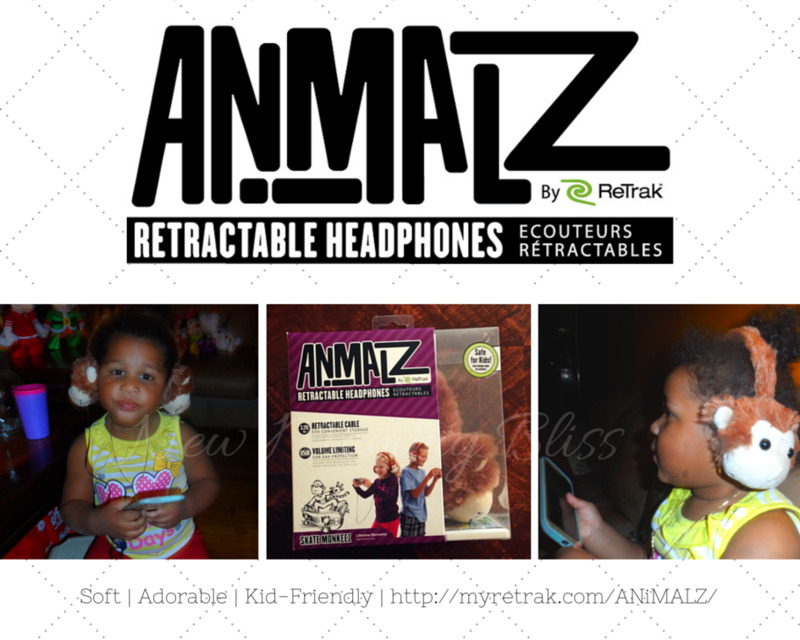 Which ANiMALZ Headphones by ReTrak would Your Child choose? These look so cute & comfy! We would probably pick the panda! Great review! Great review! Those headphones are adorable! I'd pick out DJ Panda!